The concept of indication-based drug contracting could represent a new frontier of manufacturer-payer agreements. Indication-based contracting presents clinical and operational challenges, and it is important that pharmaceutical manufacturers be educated on the opportunity and risk of indication-based contracts. The divided nature of the U.S. healthcare system remains a hurdle to implementing an indication-based drug contract. PBMs control the adjudication of prescription claims and rebate invoicing, but generally lack medical claims data or have only indirect access to limited medical sets. Without being able to match a medical claim diagnosis code to a specific prescription claim, the PBM may not know what disease a drug is treating. The fragmented nature of the patient data means that partnerships may be necessary for contract fulfillment. Once data sources are mapped, individual parties must agree on data rights and ownership. Different entities may be reluctant to share sensitive information with each other, particularly when the parties are indirect competitors. Sharing patient-specific data is a concern unless appropriate safeguards are in place. Contract value must also benefit all parties. Finally, indication-based drug contracting represents a departure from a long- running model. An indication-based drug contract would require new processes to be set up by both the manufacturer and the payer. 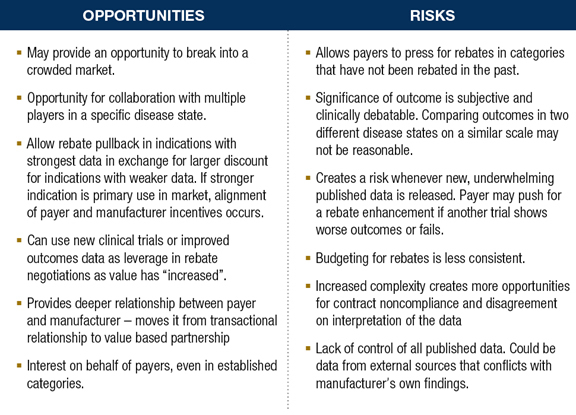 Payers would need to collect and report clinical data to manufacturers, and manufacturers would need to receive the clinical data and potentially rebate at different rates depending on the indication. Coupled with the challenges discussed previously, the financial incentive may not be enough for either side to advance the opportunity. Prior to considering an indication-based drug contract, a pharmaceutical manufacturer should complete several steps. Assess opportunity. A manufacturer should assess the current market situation and determine if an indication-based drug contract provides a growth opportunity. For a product with leading share in a class, an indication-based drug contract may help protect the brand by offering additional incentive for a payer to prefer the product. 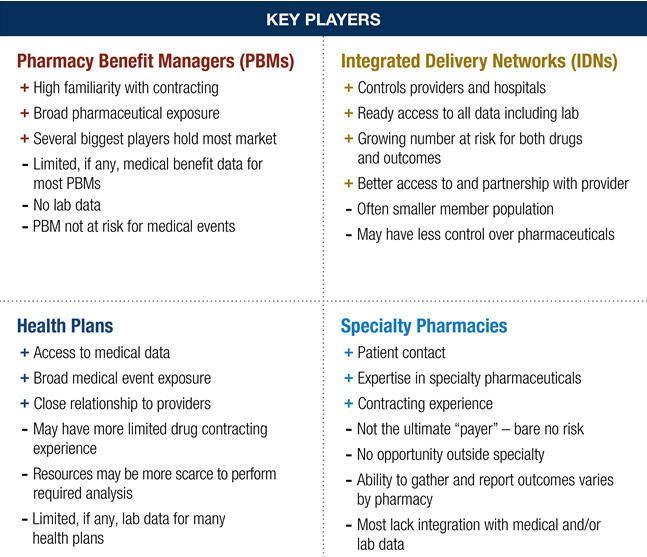 For late entrants into a crowded market, an indication-based drug contract may appear attractive to a PBM or payer due to the unique nature of the opportunity, allowing market penetration. Be prepared. If a payer or PBM approaches the manufacturer with an indication-based drug contract request, the manufacturer should be prepared to respond by already having researched elements, including clinical, financial, and operational elements. Clinical discussion should focus on whether a drug should be held to the same outcomes in different disease states with very different prognoses. Additionally, manufacturers should be prepared to ask exactly how such a contract would be implemented. What data does the payer have access to? How will the clinical data be connected to the prescription claims? The manufacturer can then determine if the program is within the scope of the PBM’s or payer’s capabilities. Pick the right partner(s). The success of an indication-based drug contract depends on the partnership’s ability to generate the appropriate data, integrate the information, and invoice appropriately. A manufacturer should carefully evaluate each opportunity and determine if the necessary data, operational, and invoicing components are sufficient to execute the contract. Additionally, ensure that all necessary parties from both the manufacturer and payer are engaged in the contract development, execution, and value sharing. Engage. 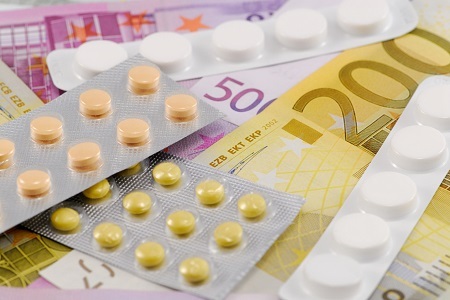 A manufacturer should take the request for an indication-based drug contract as an opportunity to engage the payer and learn how the organizations can partner to achieve common goals. Disengagement may allow competitive threats to guide a payer’s strategy and expose the manufacturer to more risk. Rising healthcare costs will continue to drive payers and PBMs to create new strategies for cost savings. 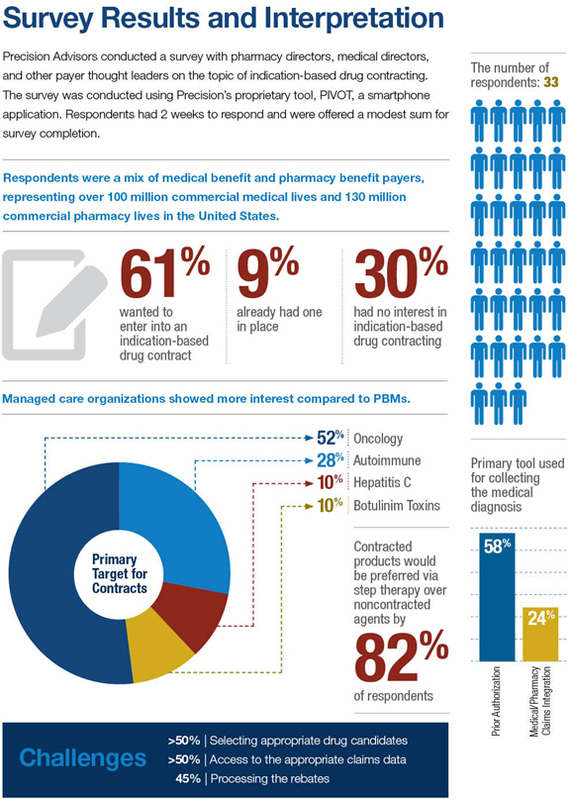 An indication-based drug contract would be more complex and requires collaboration across multiple stakeholders, but offers a unique opportunity to create a deeper relationship with the payer. A manufacturer should assess the risks and opportunity of any indication-based contract proposal prior to engaging. http://www.bloomberg.com/news/articles/2015-06-01/this-cancer-doctor-is-leading-the-attack-on-astronomical-drug-prices. Published June 1, 2015.
www.drugabacus.com. Accessed June 22, 2015. Am J Med Qual. 2006;21(4):269–275.